Many of the problems you encounter while using a Capresso grinder machine stem from the buildup of minerals inside the machine. 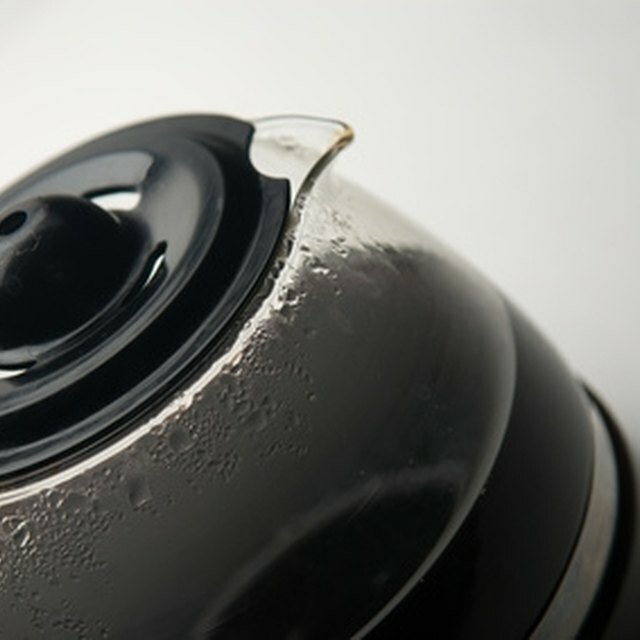 This buildup can cause coffee to taste bad or can even prevent the machine from making coffee. Fix these problems either by changing the machine's filter or by going through the machine's cleaning process. Remove both the water tank and the filter. Empty the water tank if it is not already empty. Take a new filter and rinse it under water. Place it in the water tank, then close the cartridge holder. Fill the tank with water, then reconnect it to the machine. Press and hold the machine's "CLEARYL" button until it begins blinking. Place a container that can hold at least 20 oz. of water under the machine's nozzle. Turn the machine's selector to the "Water" symbol. Wait at least 60 seconds for the water to be pumped through the machine. After it stops, change the selector back to the "Cup" symbol. Check that the water tank is at least half full. If not, fill it at least half way. Press and hold the "Cleaning" button until it starts to blink. The "Empty Tray" button should begin to blink. Remove and empty the drawer and used-coffee container. After they are empty, place both back into the machine. The "Cleaning" light should stop blinking but stay lit. Place a cup that can hold at least 20 oz. of liquid under the machine's nozzle. Press the "Cleaning" button, then wait until the "Pre-Ground Coffee" symbol begins to blink. When it does, open the machine's ground coffee lid and drop in one of the cleaning tablets that came with the machine, then close the lid. Push the "Cleaning" button, then wait for both the "Cleaning" button and the "Empty Tray" light to begin blinking. Remove the drawer and empty both the drawer and the used-coffee container, then put them back in place. Do not unplug the machine while changing the filter or while cleaning the machine, as it needs power for both.